It is profitable to make the world go to hell. “Previously people talked about win-win business deals, they were naïve, the environment always lost”, states sustainable business entrepreneur Jason Drew during the Global Green Building Convention in 2012. In today’s capitalist world, the tyranny of the short term is prevailing over the decades to come. The focus on profitability is not only as result not solving long-term environmental and social problems, but is also at the very source of them. The capitalist system is meticulously designed to allocate profit to the most profitable projects, thus neglecting the ones on smaller scales and local businesses. This is the last thing the world needs today. Can sustainability be profitable though? Souk el Tayeb started off in 2004 as an experimental farmers market in the heart of Beirut, Lebanon and has evolved today into an organization working on both, national and international projects to promote and preserve culinary traditions, rural heritage and the natural environment. The term “Tayeb” holds in Arabic numerous meanings, all reflecting positive connotations in a way or another. “Tayeb” as in goodhearted when talking about a person, but also “Tayeb” as in good or tasty in terms of food, which is the meaning in that specific case. 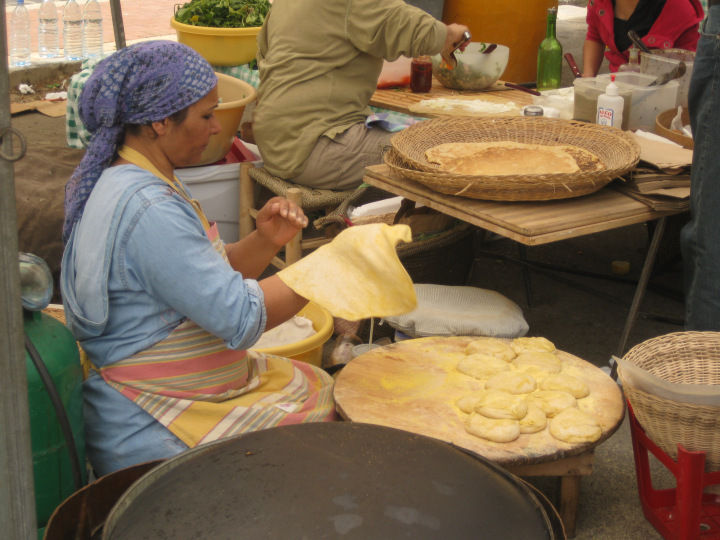 Souk el Tayeb celebrates local communities by praising their food and traditions. It is devoted to supporting small-scale farmers and the culture of sustainable agriculture. The term “entrepreneurship” usually resonates with “income” and “profitability” above anything– leaving aside NGOs, charities and welfare associations to address social and environmental causes. However, the masterminds and social entrepreneurs behind Souk El Tayeb are combining the best of both worlds. Souk el Tayeb is an illustration of the principle of effective, meaningful social responsibility with rigorous management and organizational skills. In other words, they are doing “well” and doing “good”. 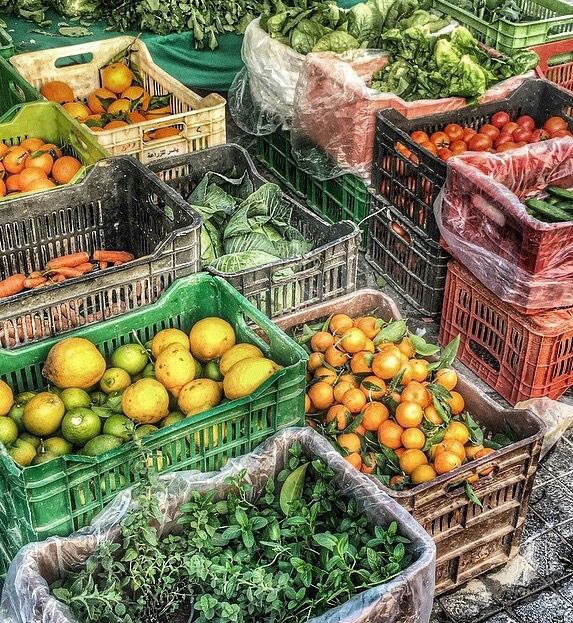 Created by Kamal Mouzawak, Souk el Tayeb was the first farmers market to open in Lebanon. It is held every Saturday at three different locations from 9am to 2pm. 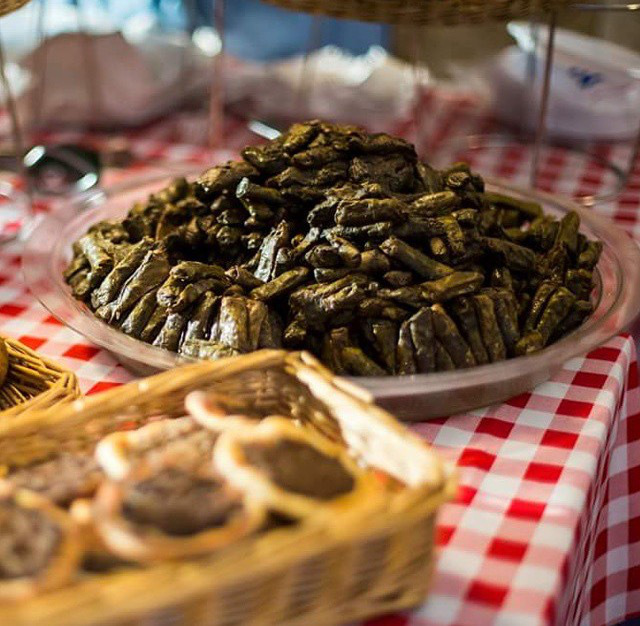 The weekly farmers market hosts around a 100 small producers from all over Lebanon who offer fresh, local, seasonal food products and organic produce, ranging from fruits and vegetables, dairy products, ready-to-eat food and sweets alongside traditional and handmade crafts. The market is divided into several sections. The organic section, which includes certified organic products, covers over a third of the Souk Tayeb market. The mixed section includes both certified organic and conventional products. The conventional section includes products that are naturally grown; and the handmade crafts section encompasses pottery, traditional soaps, kids books, and straw baskets. There is also a kids section used for different educational and entertainment activities for younger ones such as storytelling, seed planting, arts and crafts. Last but not least there is an information stand where information about the market and other Souk el Tayeb events can be found. 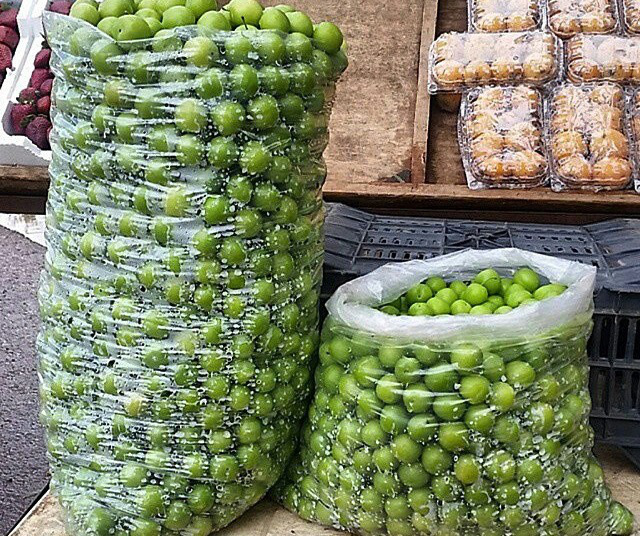 Souk el Tayeb’s quality assurance system ensures that the Souk will remain a unique place for vendors to sell their products and for customers to buy high quality, home­grown, traditional, local produce. The objective of the quality assurance system is to maintain the highest standards of health and safety through a proper internal inspection process for all of the products offered at Souk el Tayeb. To achieve the following, Souk el Tayeb developed it’s own rules and regulation guide, which must be read and signed by every new farmer, producer or cook who wishes to join the organization. These rules and regulations were adapted after a careful study of international best practice to ensure stringent control on the goods sold at the farmers market. Souk el Tayeb managers perform site visits to the farmers market and thoroughly scrutinize the quality standards and adherence to the fixed guidelines. Another purpose of such visits is to understand the farmers’ and producers’ environment and day-to-day business, and assist them in their work. Managers are also present at market, offering farmers and producers onsite assistance. Amongst Souk el Tayeb’s missions is its commitment to connecting its customers with the people growing, producing and preparing their food. In the weekly market, farmers can regularly be found explaining to customers which cherry is best to use for a tart for instance, and giving them tips on how to use the products clients are buying for optimum results. 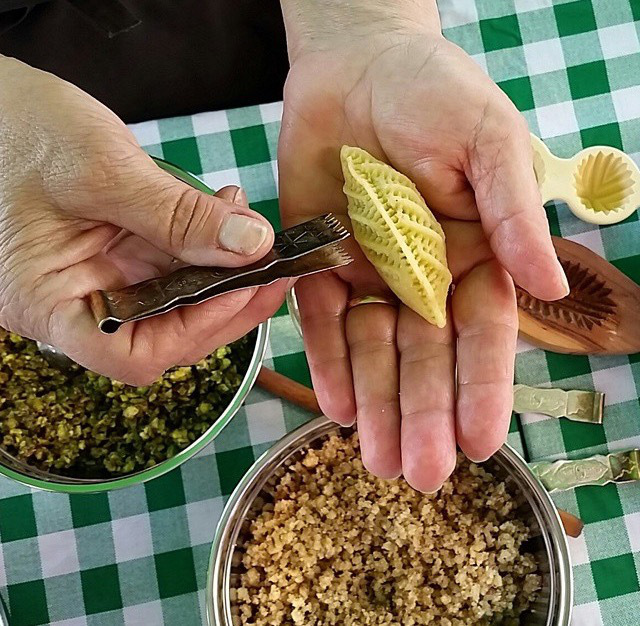 Farmers also allow clientele to taste products, and explain patiently and amicably the origin and difference of any produce, down to the difference between their wildflower and cedar honey. Souk el Tayeb is an educational learning experience, which promotes interaction between buyer and customer. It is not a rigid process where clients mechanically purchase something. These moments of interaction ensure that customers are getting exactly what they want from people they know and trust. There is a strong bond that is built and constantly fortified between both ends. Since it has been launched, Souk El Tayeb has grown and has diversified projects. Tawlet and Tawlet Ammiq’s are restaurants where each day a different cook prepares traditional meals from their region. Souk el Tayeb is the epitome of a new trend of entrepreneurship born in the 21st century, called social entrepreneurship, also known as conscious capitalism. Nowadays, entrepreneurs are thinking local not global, and are trying to find common grounds between profit and sustainability. Souk el Tayeb ticks all the boxes of a sustainable business, proving that conscious capitalism is not fictional. The entrepreneurs have a brilliant market strategy implementing practices that benefit both human beings and the environment. Souk el Tayeb is the explicit exhibit that sustainability does not mean losses, and that conscious entrepreneurship does engender profits. Sustainability and income no longer have to be antithetical terms. The list of positive outcomes is extensive: from farmers getting a fair price for their goods, to the preservation of centuries old of local food traditions for future generations to enjoy, to giving livelihoods to small-scale farmers, to enhancing food knowledge and culture throughout Lebanon, and so on. The organic certifications farmers have earned, the adherence to the rules and regulations laid out by Souk el Tayeb, the consultancy program offered by the Souk to any farmer looking to improve their product, are all measures that ensure that only high quality, healthy and safe goods make it into the market or kitchen. The real guarantee of quality, however, is when the customer and the supplier have a relationship. Souk el Tayeb is now a forum that promotes unity, bringing together people of different regions and beliefs together, people who share a common respect and love for food, agricultural traditions, heritage, land, and healthy lifestyles. It grew organically and has today managed to plant the seed of peace in a land that has known a lot of conflicts and political turbulence, regrouping fractured communities. It has also greatly impacted the economy of the country, protecting the interests of the small farmers and giving an opportunity for local producers to compete with industrial and globalized food trade.